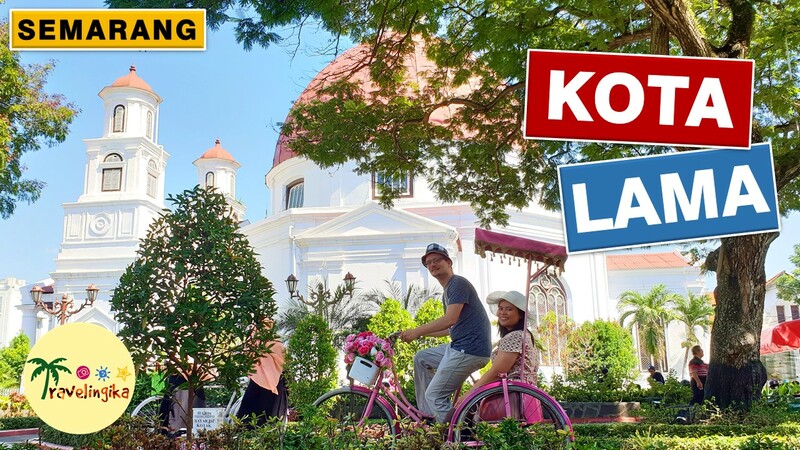 Hello, in this video I explore Kota Lama (Old Town) area in Semarang. I was not alone because I was accompanied by my boyfriend. He is from Germany and he spent 21 days here in June-July 2018. After exploring Kota Lama, we were headed to Citraland Mall to eat sushi at Ichiban Sushi. This is the first time he tried to use chopstick. It was an epic fail of him to use choptick when eating sushi, lol. Check out our next video: After eating, we explored the mall a bit and then we went to other mall called DP Mall to watch a movie and my boyfriend also tried Currywurst at that mall. He still thought that original German Currywurst is the best one! Lol. Then we enjoyed our evening at Bunderan Simpang Lima, riding a funny-looking vehicle with much lights! That activity would be in our next video.